At the core of green building is energy. Energy has the largest resource and environmental impact on homes and buildings – if you are not addressing energy efficiency, you are not building green. When considering energy efficiency, passive building design should be addressed first as it provides the least cost solution to reach the energy efficiency targets by leveraging the materials you are already using to build the structure. 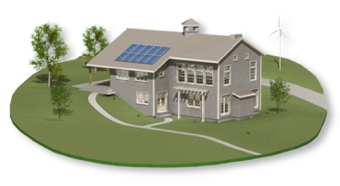 Heliocentric doesn’t just design passive solar buildings – we engineer them. 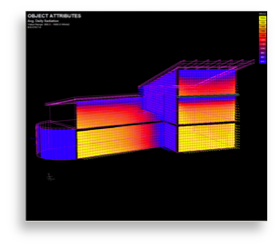 We perform detailed solar engineering analysis in conjunction with building simulation and HVAC engineering to tune passive solar buildings as integrated systems and ensure optimal passive heating and cooling. 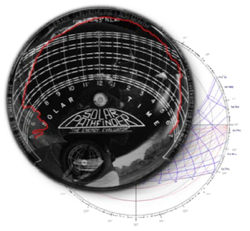 Heliocentric provides detailed climate assessment and solar site surveys of the prospective building site. 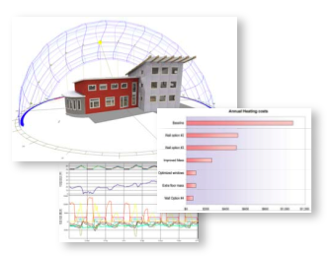 Surveys help the design team develop site appropriate architectural solutions and assist the creation of realistic energy models and passive solar solutions. We provide energy analysis services using detailed computer models to accurately simulate performance in your local climate. Modeling provides invaluable understanding of how designs and materials will actually perform before you build, and provides an essential foundation for engineering extraordinary buildings. Heliocentric analyzes solar building problems and engineers unique architecturally appropriate and building integrated passive and semi-passive solutions .